What is the best way to contact my therapist? Once you have clicked the message icon in the top right corner of the page, a display panel will pop out. 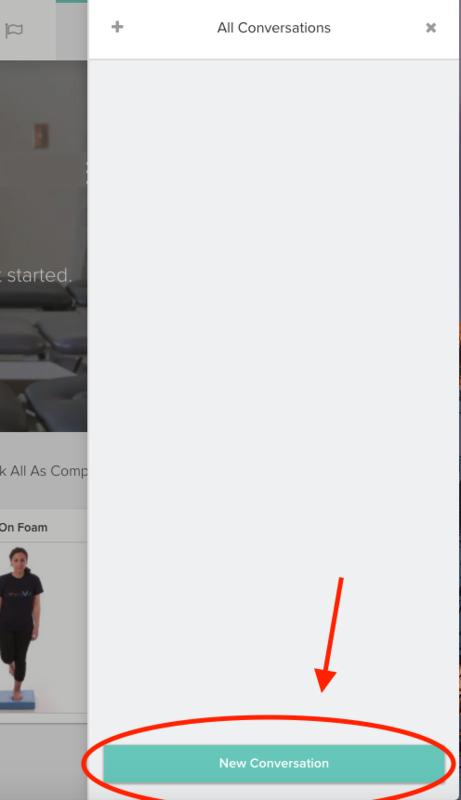 From there you will be able to start a conversation with your therapist by clicking on the "New Conversation" button located on the bottom of the panel. To view an existing conversation with your therapist, click on the care team member name to open that conversation. Once you have selected the care team member you wish to open a conversation with, you will be able to ask questions or provide feedback on your care plan and your therapist will be able to respond. You can also contact your care team provider while you are viewing your exercise videos in your care plan. To contact your care team provider while viewing your care plan, select an exercise from your care plan. 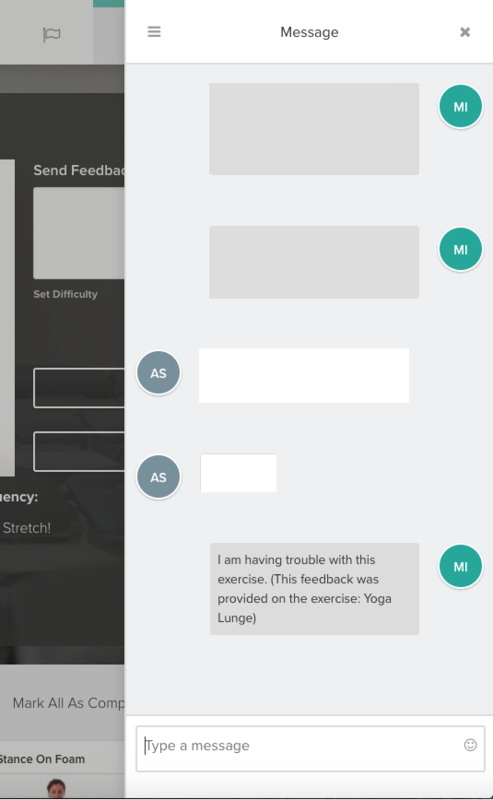 There you will find a dialogue box where you can type questions or comment on specific exercises. Once you have finished typing your comments or questions, click on the "Submit Feedback" button located directly underneath the dialogue box. This will send your comments or questions directly to your care team provider. 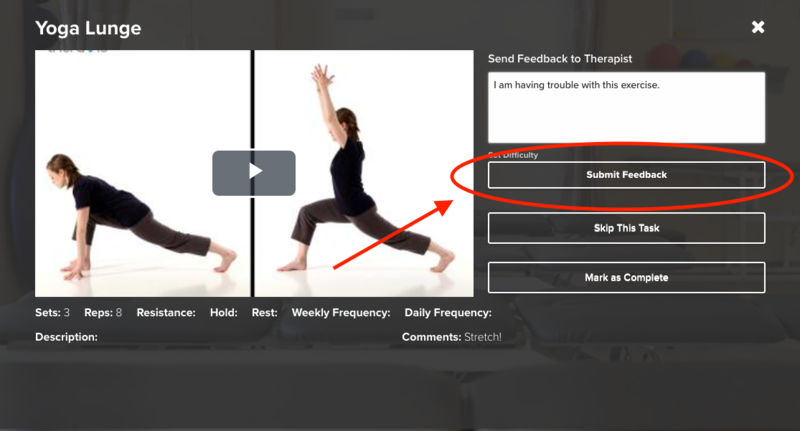 After you click on the "Submit Feedback" button, your questions and comments on specific exercises will appear in the discussion thread with your care team provider.